First time I met Lionman, he drove me to Kingston, caveman yard to sing on stage with good people like di mighty Fredlocks and more. 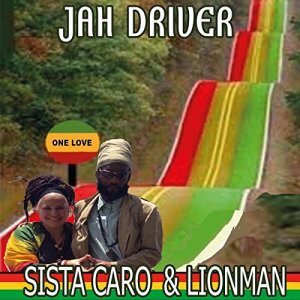 He drove me so fast it was so amazing and i discovered that he was a singer too so we decided to make a song together called "Jah driver" :) since dis time we enjoy to be on di jah road with his incredible car when I come to Jamaica. I give thanks for the brotherlove. AND WE LISTENED TO "JAH DRIVER"